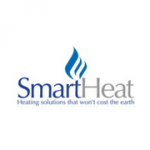 Need a new boiler in Chigwell? Get FREE no-obligation quotes now! Gas Safe registered installer based in Ilford We are Vaillant Accredited Advanced Installers. We can provide up to 10 years guarantee on new boiler installs. Hi I need a boiler have 5 bedroom. 3 bathroom.